Time flies! Adam Levine and Behati Prinsloo celebrated their daughter Dusty Rose’s first birthday with a fun-filled party on Sunday, September 24. The Victoria’s Secret model, 28, shared an adorable Instagram photo of herself and the Maroon 5 frontman, 38, posing in front of three massive, colorful, unicorn-shaped balloons. “We made it once around the sun…. @adamlevine Not sure who enjoyed these wise old unicorns more, me or the kids,” she captioned the post. We made it once around the sun….☀️ @adamlevine Not sure who enjoyed these wise old unicorns more, me or the kids. Thank you @johnalfordballoons ?? Dusty officially turned 1 on Thursday, September 21. 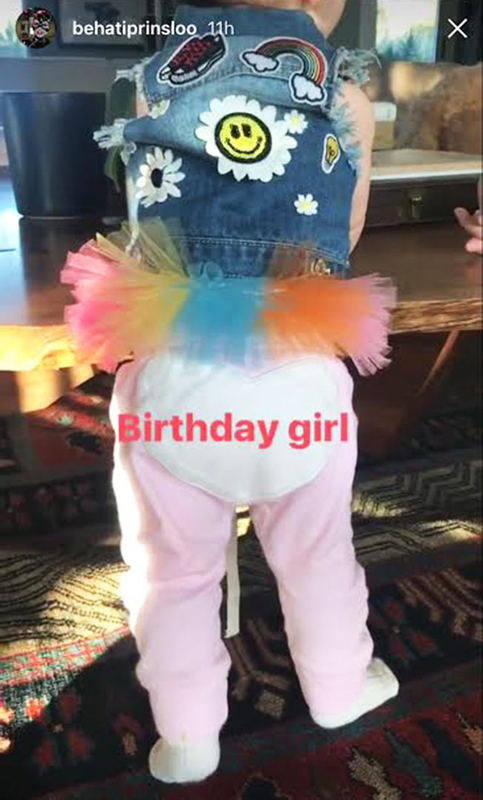 In honor of the big day, Prinsloo posted a cute picture of her little girl rocking a denim vest and a rainbow tutu over a pink onesie. “Birthday girl,” she wrote. Levine and Prinsloo have had plenty to celebrate as of late. They commemorated their third wedding anniversary in July and announced earlier this month that they are expecting their second child together. “ROUND 2,” the Namibia, Africa, native wrote on Instagram on September 13 alongside a photo of herself showing off her growing baby bump in a bikini.